Yesterday I had the pleasure of meeting Miss Heidi Klum! She recently signed on as the spokesperson for Dr. Scholl’s DreamWalk Insoles and spoke to the press about how you don’t have to suffer for fashion anymore thanks to this new line. I videoed the entire Q&A because if anyone knows about sacrificing comfort for style it’s a supermodel. I loved her take on the whole thing. 4 out of 5 women who tried DreamWalkTM High Heel Insoles would recommend them to a friend! 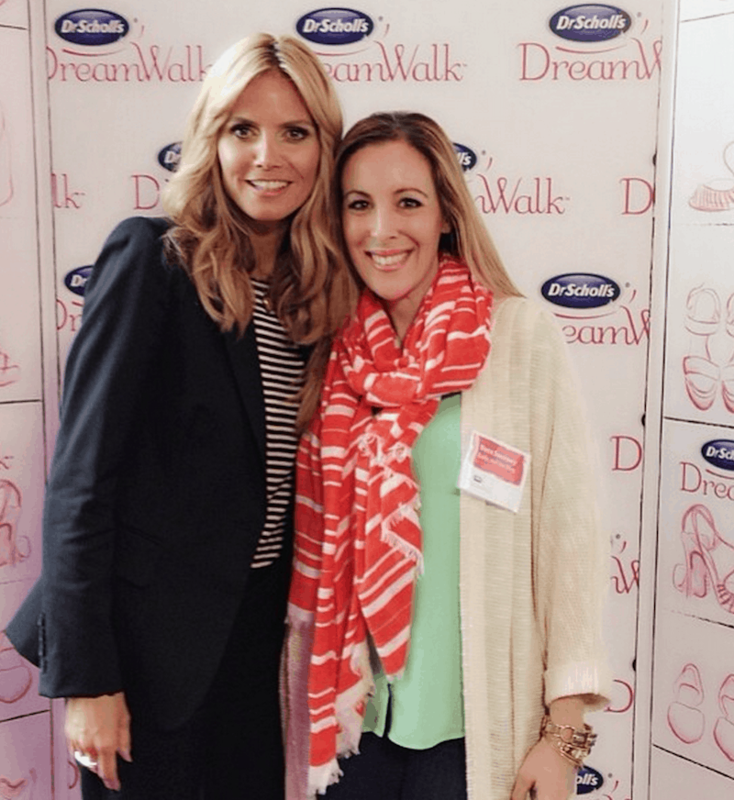 4 out of 5 women who tried DreamWalkTM Comfort Insoles would recommend them to a friend! For information on the full line of Dr. Scholl’s DreamWalk Insoles, visit their website. I’ve heard some pretty positive things about the Dream Walk high heel insoles. They may not last very long, but for roughly 9 bucks they’re great in a pinch if you need to wear heels to an event and want to avoid the consequences later.